implications connected to real world fears. So why isn’t this movie as fittingly bone-chilling? resurrection sets the Creeds on a much darker, irreparable path. the moment Church comes back you know where the story is headed, your curiosity is still piqued. film doesn’t execute them well, and in fact turns most of them generic. The movie’s story differs from the book in some pretty major regards and the result is some choices, particularly in the third act, that are made primarily for some cheap scares and have no meaning to them. The story also has a couple quintessentially King subplots about characters being haunted by ghosts and traumatic memories that are pretty decent and foreboding on their own, but don’t actually amount to anything. through predictable jump scares and a little bit of gore. There’s nothing atypical in the direction or editing, the camera-work or lighting, any of which easily could have been manipulated to render frightful sequences effective. As can be imagined, the undead plays a major role in the story, but there’s nothing new or engaging done with their presence. And this movie tries, it really tries to make the regenerated Church creepy and menacing, but it doesn’t work, not even as an omen. Because without any effects-work or graphic detail, he just looks like a ragged and gnarly house cat -a little aggressive sure, but cute at times. I think the key problem is that to my understanding, the novel is more about the horror behind the idea of resurrection itself than it is about being stalked by an undead evil. As such, the fear it evokes is more lasting and the ending much darker, though I’m sure the filmmakers believe their’s is. movie Winchester, but it’s still not that great a performance, let down perhaps by lacklustre direction. Amy Seimetz is certainly a little better, and John Lithgow is as expected, the best part of the movie. deep and meaningful scares that it would be unfair to compare the two. 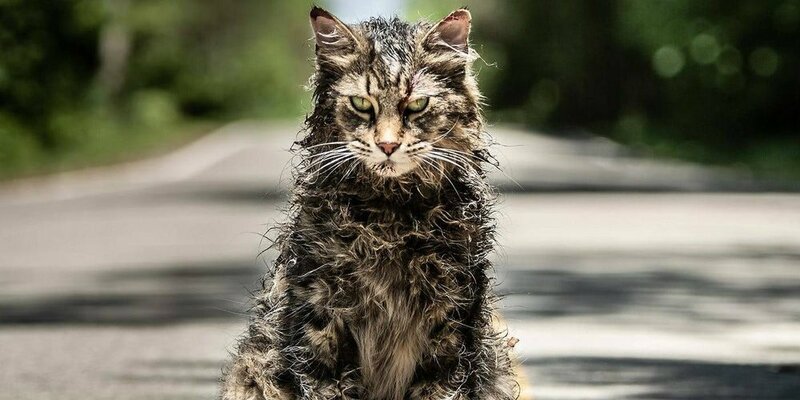 I’ll only say that Pet Sematary may frighten you in the instant, but won’t linger in your mind much beyond a cursory idea in the hours following a viewing.